Is Rexie cut out to be Best in Show? Probably not. Does Julia enter him in the Happy Tails Best of Breed Dog Show anyway? She sure does. 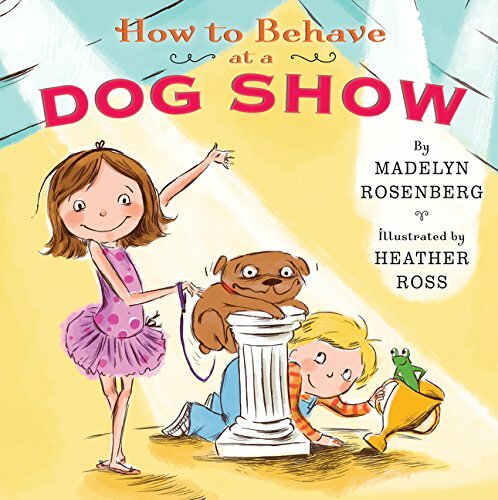 This companion to How to Behave at a Tea Party offers readers more laugh-out-loud silly fun with sister-brother duo Julia and Charles and their lovably mischievous dog, Rexie. With subtle themes of losing gracefully and celebrating the things that make each of us winners in our own ways, this book is perfect for preschool and early elementary children, for readers who enjoyed the How to Babysit a Grandpa series, and for anyone who has ever loved a less-than-perfect pet. Julia and Charles end up hosting a pet show of their own—don't be surprised if young readers are inspired to do the same!